I'm just getting up to speed on the news from overnight, which is mostly good: Philae remained in contact with the orbiter (which means the CONSERT radar sounding experiment was working), and it's sitting stably on the surface, although it's not anchored in any way. 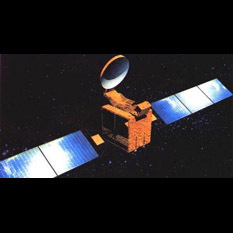 And they released the first ÇIVA image from the ground! 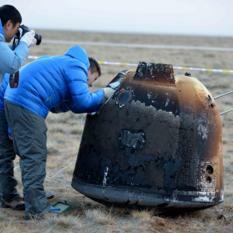 The landing happened on time just after 16:02 UT today! 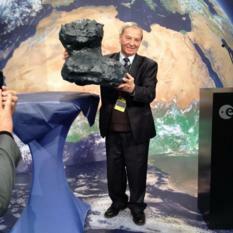 Philae mission manager Stephan Ulamec said: "Philae is talking to us! The first thing he told us was the harpoons have been fired and rewound. We are sitting on the surface." Those words later turned out not to be true; but we do know at least that Philae survived the landing and is returning good data. 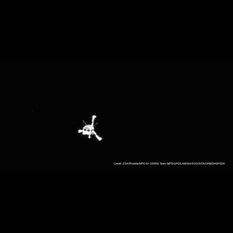 Philae update: Photo documentation of Philae's separation! Here it is. We knew hours ago that Philae separation happened, but there's nothing like seeing a photo, seeing Philae's mothership receding into the distance. Philae is "go" for landing. But there has been drama overnight. One of the steps to prepare for landing did not proceed as planned. 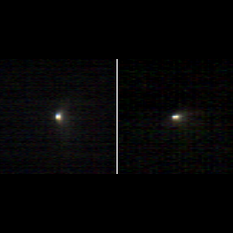 UPDATE: At 09:03 UTC, the lander separated from the orbiter, beginning a 7-hour descent to the surface of the comet. 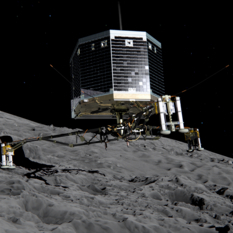 Philae update: First of four "go-no-go" decisions is a GO! It's been a day of calm before the storm here at the European Space Operations Centre in Darmstadt, as we get ready for the big event tomorrow: Philae's hoped-for landing on a comet. The first of four "go-no-go" decisions has been made, and it's a "go." Mission navigators have gotten data back from Rosetta that indicates that the spacecraft is on the correct trajectory to deliver Philae to the comet. 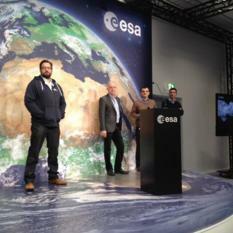 I'm reporting live from the press room at the European Space Operations Centre in Darmstadt, Germany. There's little news on Philae yet except that its status is good. Meanwhile, Rosetta scientists presented their first early comet results at the Division for Planetary Sciences meeting in Tucson, Arizona, which I watched from afar using Twitter. Earth's first-ever landing on a comet is a week away. 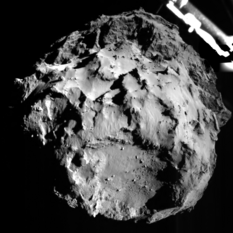 On November 12 at 8:35 UT, Philae will separate from Rosetta. 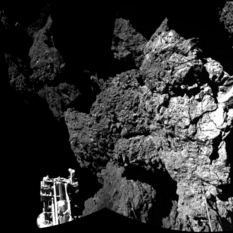 Seven hours later, it will arrive at the surface of the comet. Hopefully, Philae will survive the landing, and begin to return data.